Such a pretty and sweet flower bouquet, with gorgeous pastel flowers and colours. 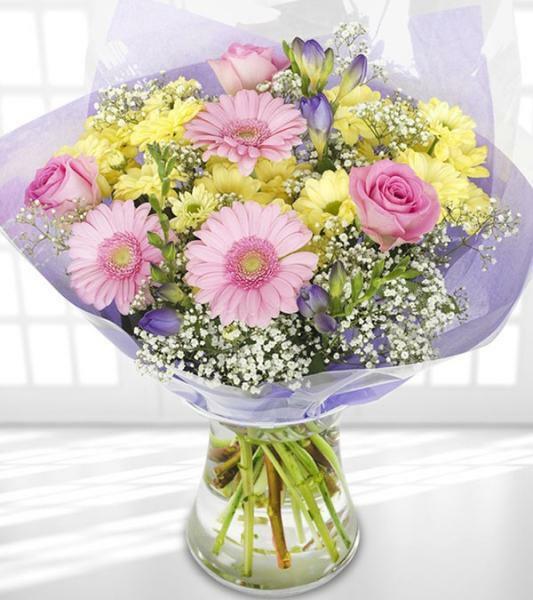 Stunning mix of pink, yellow and purple flowers for your loved ones. The vase can be ordered separately.